Blogging has become explosive in recent years and many people are confused as to what all the hype is. 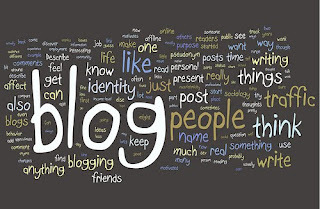 Blogging allows you to quickly relay your message to a captive audience. By speaking directly with your clients or customers, you are establishing a positive relationship with them. Rather than being just another company with a website, they will know that there is someone behind the website that cares and is willing to help with any questions or concerns you may have.There are many excellent blog solutions that are free such as Blogger and WordPress. Blogs also offer something else that website cannot, updated content on a constant basis. Google and the other search engines love to see fresh, new, updated, original content on the web. This means that your blog and all its pages will be in the search results, ranking high. This means that all blog posts will be ranking high up on the organic search results. In order to keep your blog posting at the top of the search engines, you must build links back to each post. Creating a viral buzz is great by using social networking sites such as Reddit, Digg, StumbleUpon, Delicious, twitter, Google Buzz, etc. The more you promote the post, you will see an increase in visitors and links back to the page. This is the perfect combination for having a successful SEO friendly blog. Looking at the statistics from blogs, it is proven that most visitors are new to the site and arrived via search. While having high-quality content is critical to blogging, SEO and SEM techniques are valuable tools to measure ROI. Blogging should be part of any companies online marketing campaign, should be updated weekly (if not more), and will definitely improve your SEO rankings.